Sometimes, not that often, everything shakes out perfectly. Felkerino and I launched from home early to enjoy the peak of the cherry blossoms and avoid some of the crowds. Thanks to the lightning and thunderstorm earlier in the morning, we had most of Hains Point to ourselves. 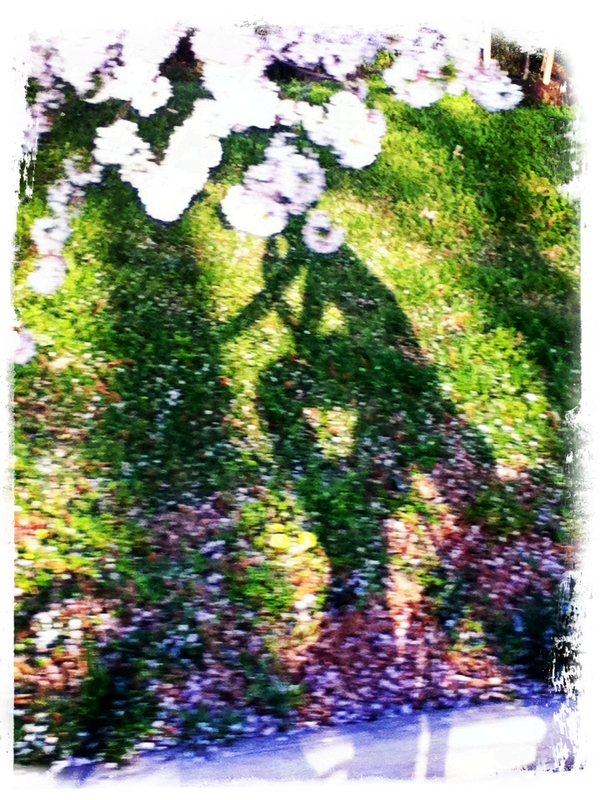 Midway through our blossom-canopied lap, who should run into us pass by, but fellow commuter Rick B. He was riding carbon, but had no qualms about altering his pace to chat with us. Around the Point with Rick and Felkerino. Today was a peak day for the blossoms and they did not disappoint. Nonstop beautiful! A work interlude interrupted my day, but after that ended I headed back to the Point for afternoon laps. Due to this being a certain day, I decided to ride my age. During Operation Ride My Age, I serendipitously met up with my friend Michael H., who kept me company for two or three laps. The miles passed easily with the good company. After we parted ways I practiced my shadow panda skills, which I believe are underdeveloped. They still need work, but I liked this one. It’s a seasonal shadow panda. 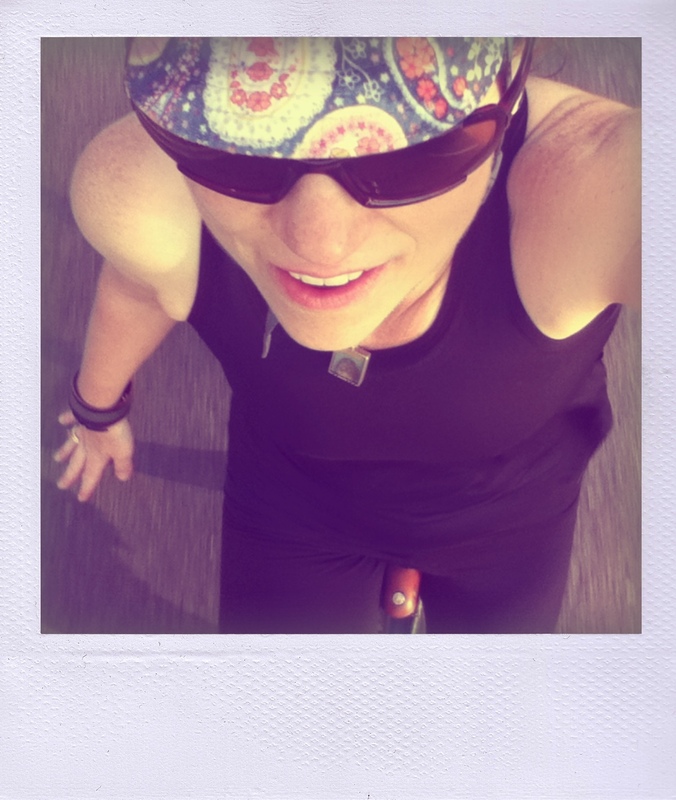 I then popped off a few of my favorite on-bike photos, the danger panda. Oh I love thee, danger panda. 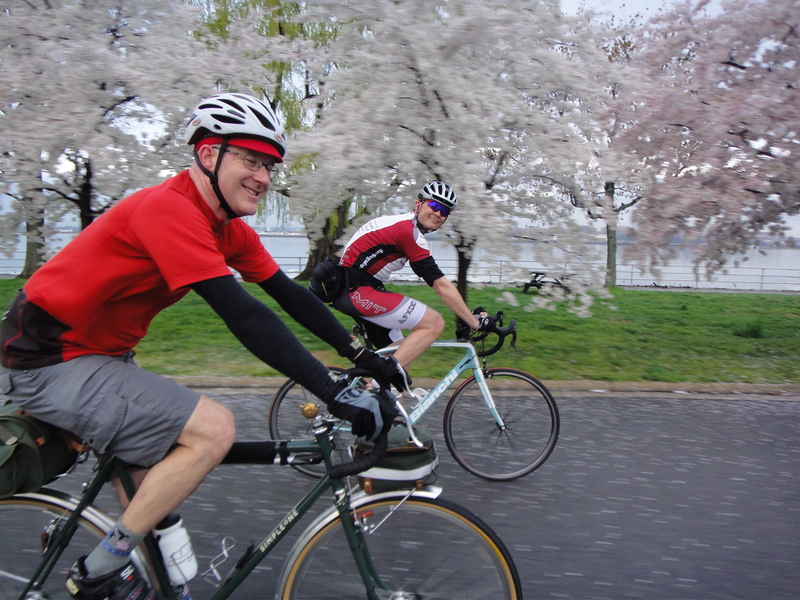 Felkerino met me and we rode through the cherry blossom fans up to Northwest for dinner. On our return, I successfully completed Operation Ride My Age and we stopped at the Hirshorn. We had not planned to stop at the museum, but a new exhibit drew us to it. 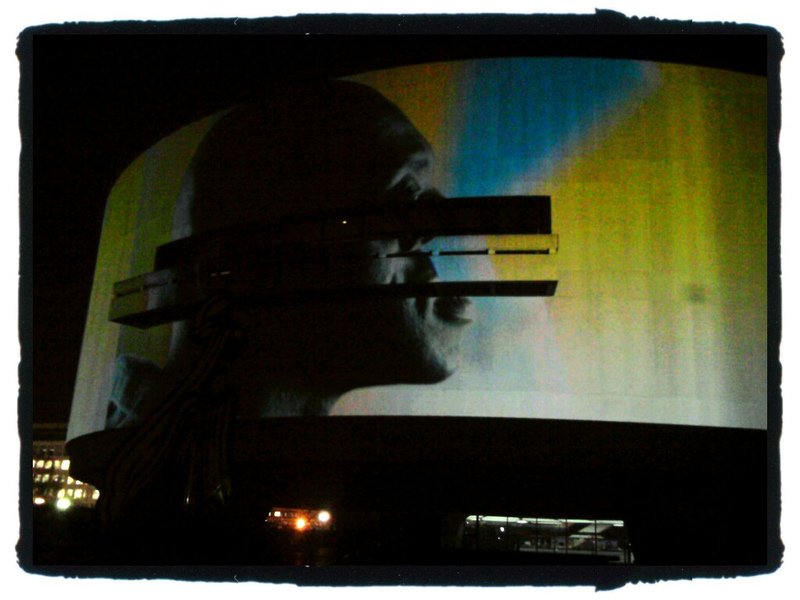 Song 1, by Doug Aitken. While the exhibit officially opens on March 22, somehow we got a sneak peek. Surreal, perspective-altering, creative, and wonderful. I felt like I’d received a gift when I saw this piece. If you live in the District, you must go. Some days the city chews you up and spits you out, sucking casually on your bones like they were toothpicks. Other days, it whispers sweet nothings and convinces you there is no better place to be. Today, all was right with the world and I couldn’t imagine living anywhere else. Happy birthday? Days like the one you described make life a wonderful place to be. is it SPRING in DC?? you look so perfectly happy in your danger-panda pose. happy happy whatever-it-is day to you…. I’m still waiting for a ride through cherry blossoms to seem mundane, but they are always so spectacular! Half Naked Danger Panda! In March! I ran down there today, and it was perfect. So you rode 29 miles or km? Yeah, sure, 29 birthday miles, ha ha!!! Love the Half Naked Danger Panda title. We’re getting spoiled here. What it means for summer, I have no idea. I’m stocking up on sunblock. Happy belated birthday wishes! Beautiful pics, it does look like a wonderful day. That “Operation Ride My Age” is on my list for my b/day now. Good plan! Happy Birthday! And I, too, stumbled on Song 1, serendipitously. Last night I went to Bicycle Space to do an evening ride. It was supposed to celebrate BikeSnobNYC’s new book and he was indeed there. Along with about 70 (!) other riders. And a boombox on wheels, kind of a monkey cage boombox. 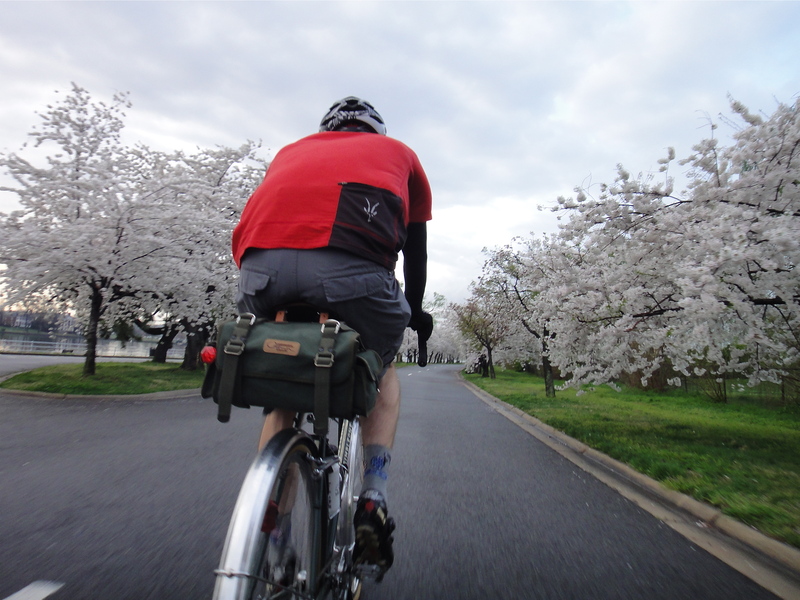 We did a big loop of DC special places, cherry blossoms included. Riding back home from the Capitol, heading through the Mall, my friend Tom and I heard music and saw the flickering. 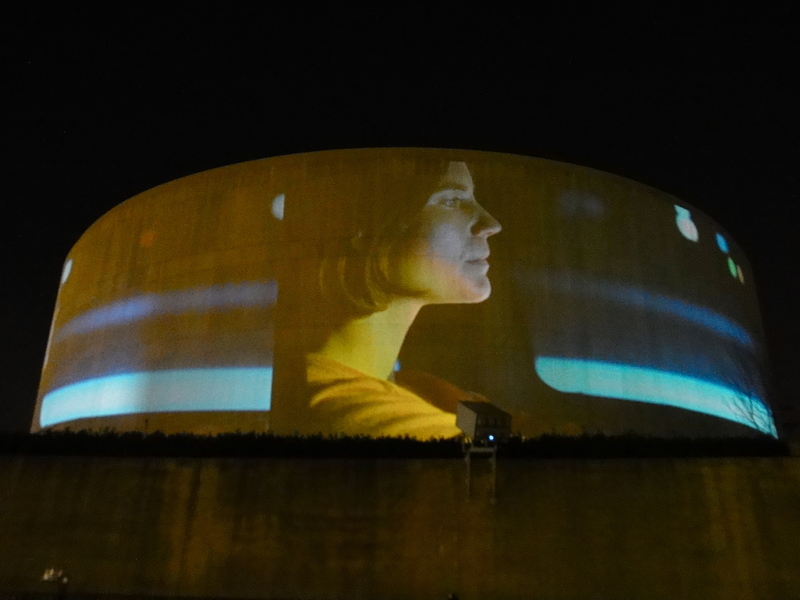 We immediately headed to the Hirshhorn and had the same treat. Quite an experience. So was the ride, by the way, kind of a critical mass, very friendly, we stopped traffic in places but received zero bad vibes from drivers. Several Surly’s, a few other steel bikes, a really neat Schwinn Le Tour mixte that originally belonged to the owner’s mother. Glad the bikesnob ride went well, and SO AWESOME that you got the early showing of Song 1, too. Just super cool.